The resulting blade has great speed, but holds the ball a little longer than the normal carbon fiber making the production of heavy topspin easier. A model with ZL-Carbon; powerful attack as well as the soft feeling are major features, high reaction force and flexibility is possible. 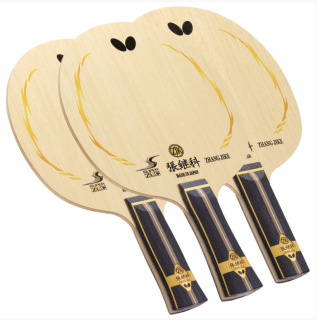 The balanced play between attack and defense is a particular characteristic. In collaboration with Jun Mizutani, the top players of the Japanese national team and multiples National Champion, Butterfly developed this quality and relatively light ZL Carbon blade. The ZL-carbon provide the stability for the attack. 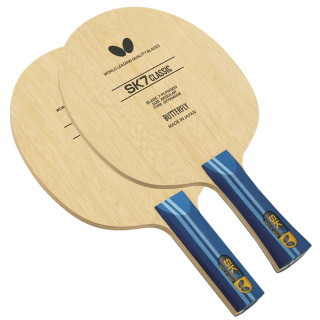 Create a very good feeling with a lot of spin but still keep the ball trajectory low. Garaydia ZLC suitable for close to the table both wings attack style. A little vibration give the paddle even more feeling for blocking and looping. 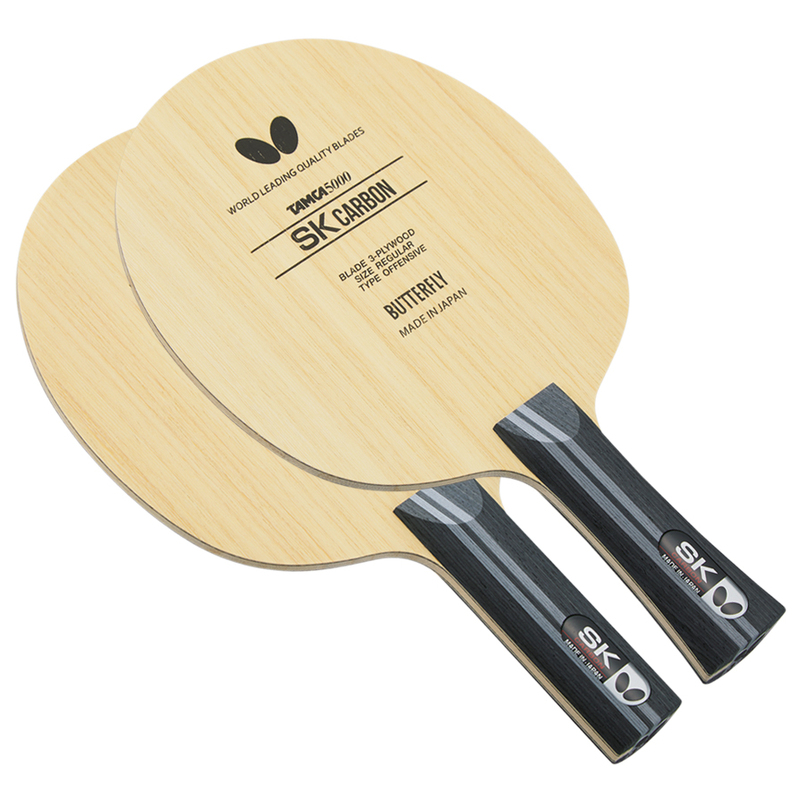 A slightly thinner center core and larger ZL fiber secondary plies. A model with Arylate-Carbon, which makes the high reaction and control possible; it is recommended for the player who seeks a balanced powerful attack while maintaining ease of use. Great for players playing close to mid distance to the table. Ideal for strong first ball attacks. Easier to create spin on the ball. Easy to 'hold' the ball on the racket. Experience the masterpiece for yourself! 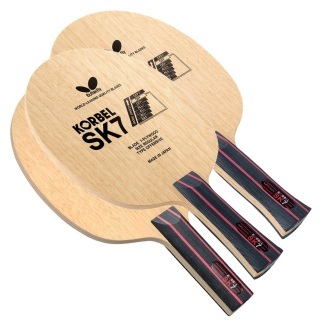 The Korbel SK7 is an attacking blade that offers a relatively soft and controlled feeling even at high speed. All wood 7-ply blade, heavy, but the weight is concentrated in the handle, well balanced. The Arylate Carbon fibers are located closer to the core which leads to a softer touch and stunning feel. Arylate-Carbon fibers dampen vibration and allow for dynamic play and precise placement. Mizutani Jun Super ZLC blade is named after the Japanese great, Mizutani Jun. 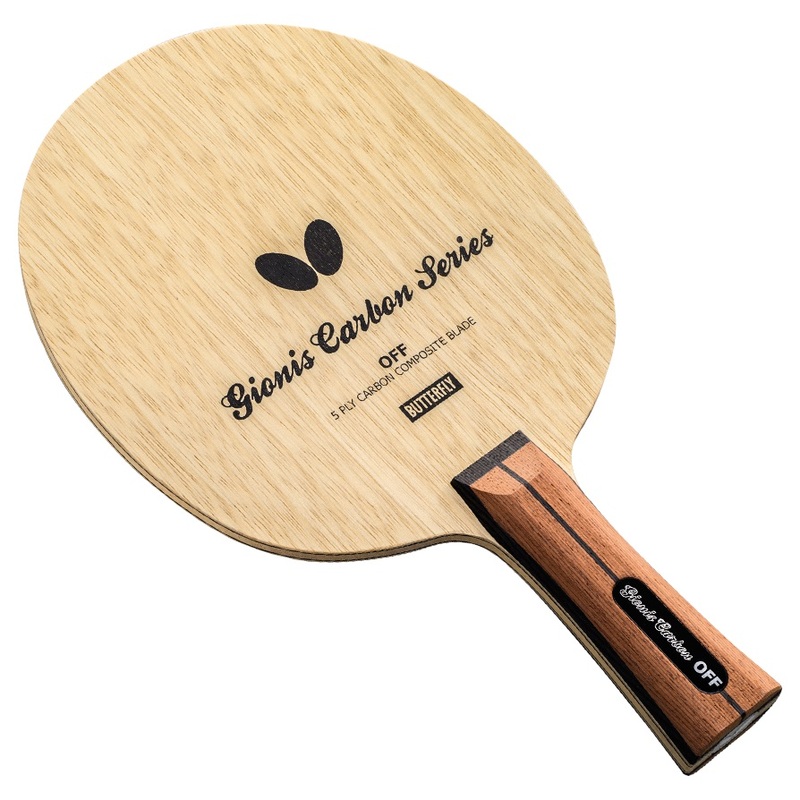 Super ZL-Carbon has gone beyond the present fibrous materials and stepped forward into the new territory. The remarkable reaction and control provided by the expanded high-reaction area has taken the blade to the next stage. 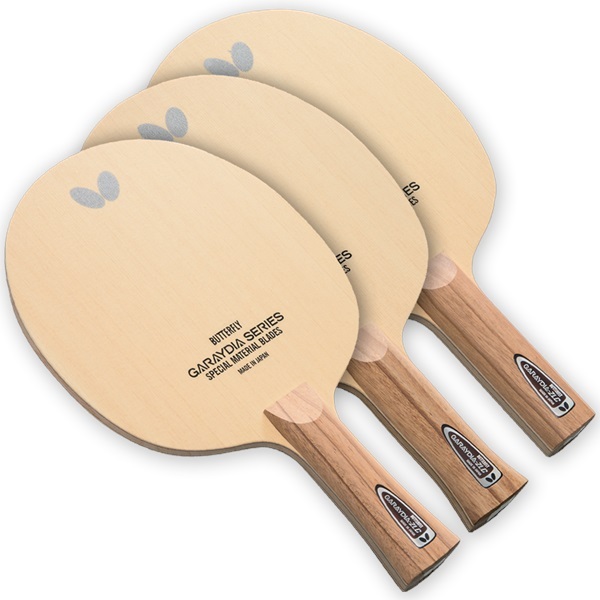 Super ZL-Carbon is an evolved new material Butterfly introduces to the world with confidence. Fans of classic offensive blades feel right at home with the new Hadraw VK blade and its harder outer veneers. 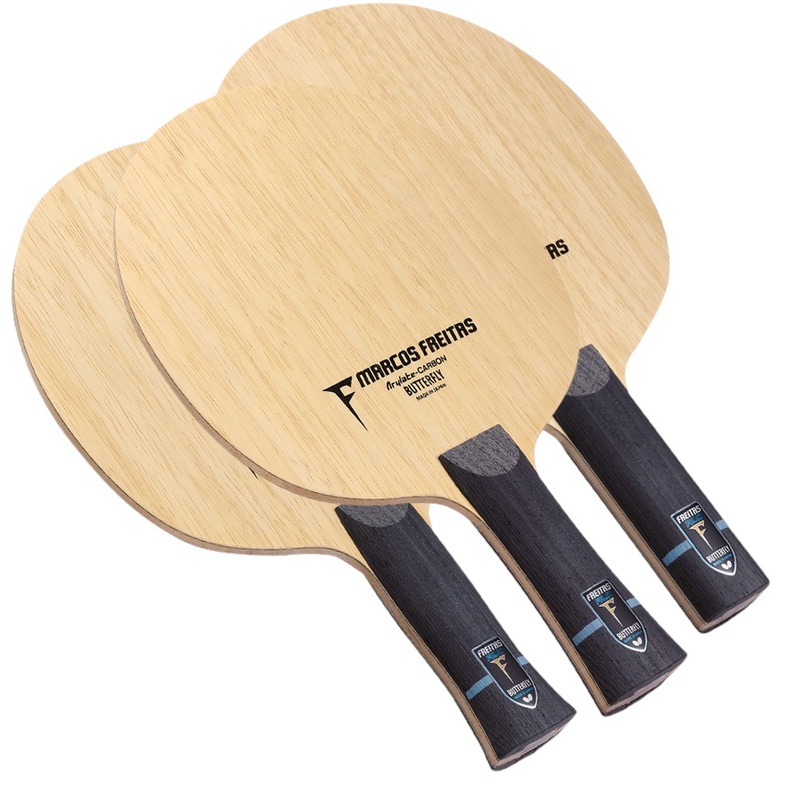 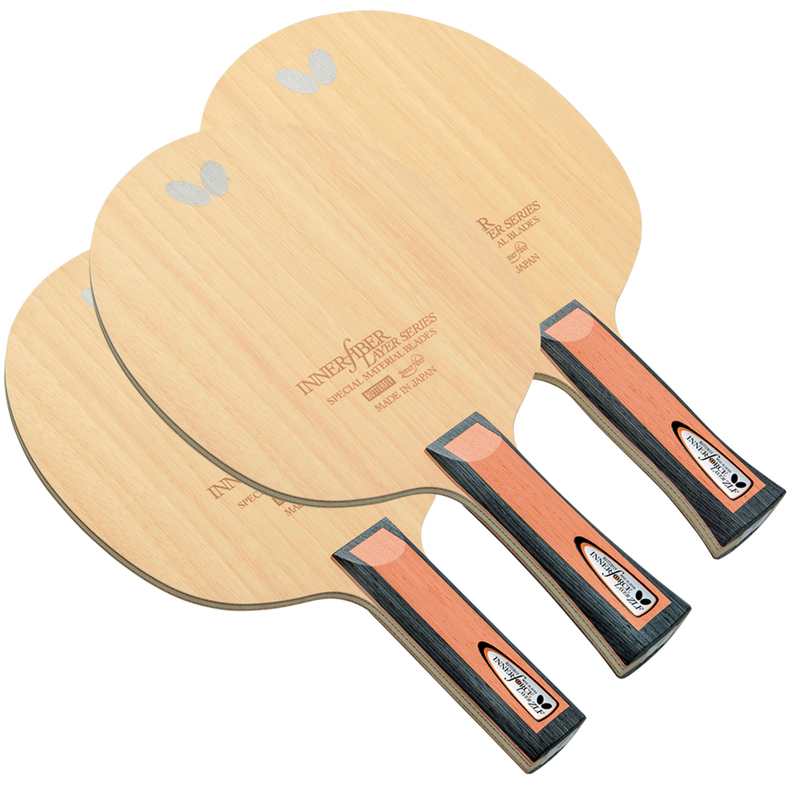 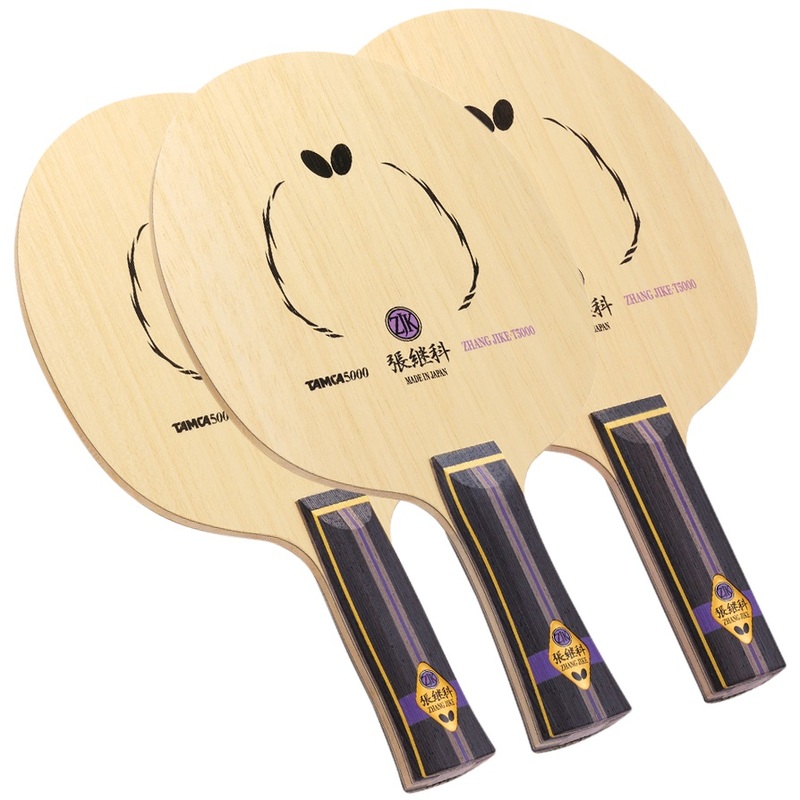 The 5-ply blade offers power and security in versatile topspin play as well as passive block and counter shots. 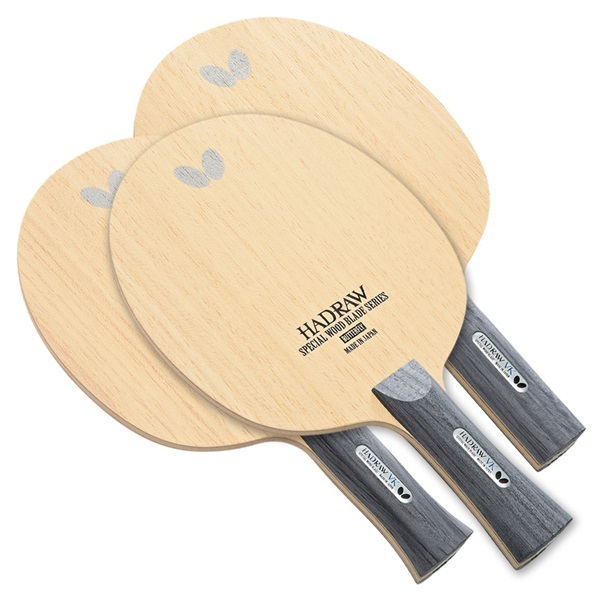 Using an intricate and exclusive Wenge veneer only underscores the high class ambition of the new Hadraw VR blade. Its medium-hard touch combined with a controlled feeling in all situations of the game. 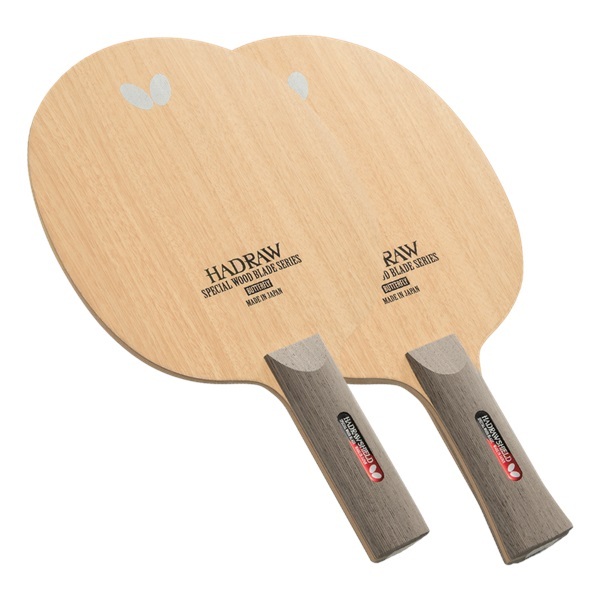 The new Hadraw Shield is a defensive blade of the next generation. Its thin 5-ply structure makes for less weight and adds control to any defensive situation. Constructed using Inner fiber technology. Innershield Layer offers soft impact and is equipped with 2 ZL fiber layers. Brings sharpness and sense of stability when cutting the ball. The Andrzej Grubba is a flexible blade named after one of the world's most dynamic players. Ideal for topspin, short chops, blocks, and smashes. The Timo Boll ZLC offers the traditional Carbon feel and power, but the flexibility of the ZL Fiber holds the ball longer than traditional Carbon blades. Increased dwell time allows you to produce maximum speed & spin. 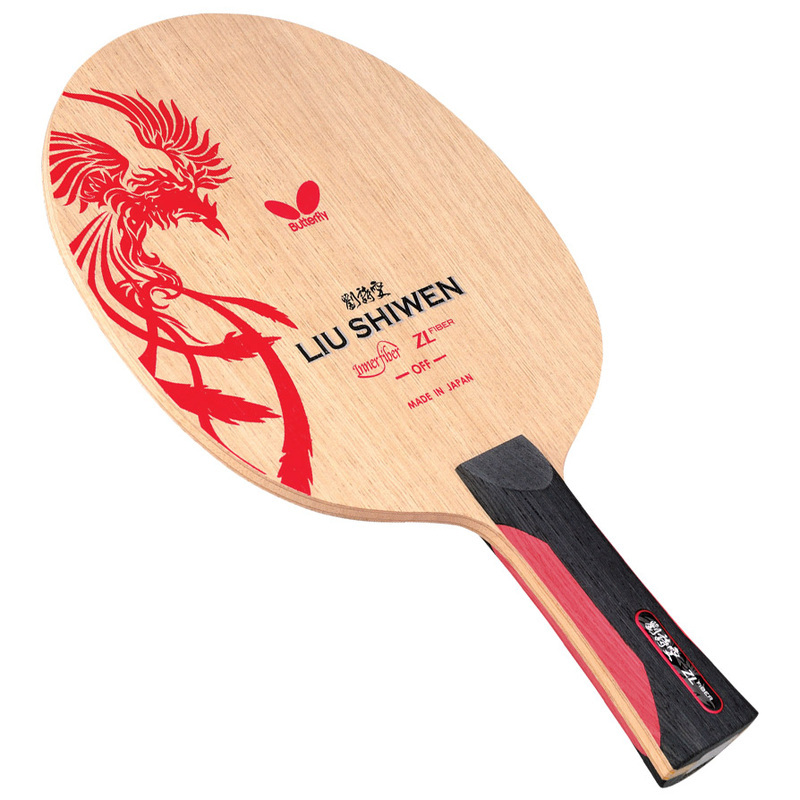 The perfect blade for the power attacker who likes to both loop & smash to win points. • Extremely fast for an all-wood blade. • The Mazunov blade combines fine blocking touch with incredible mid-distance power. 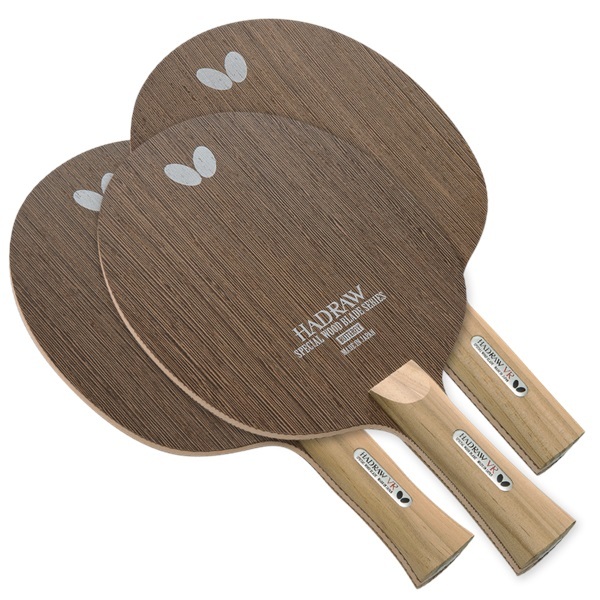 Garaydia ALC is made of 3 ply wood veneer completed by 2 ALC fibers. 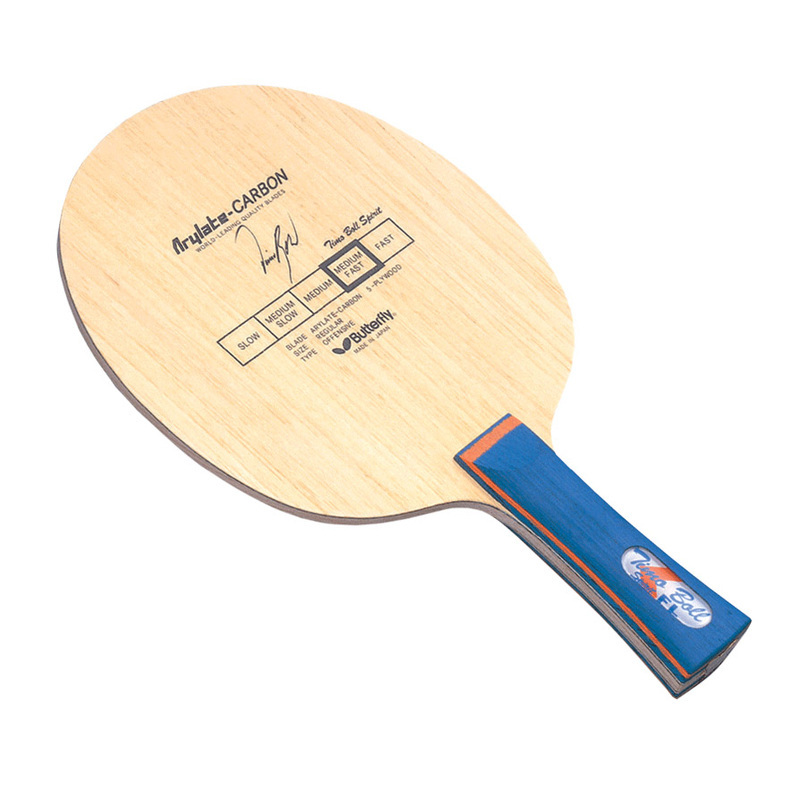 Its ALC fibers provide the characteristics of touch with a low trajectory and sensational control. Best suited for any spin based attack play. Features the use of Butterfly's ZL fiber. ZL fiber is harder, more flexible and lighter in weight than carbon fiber. 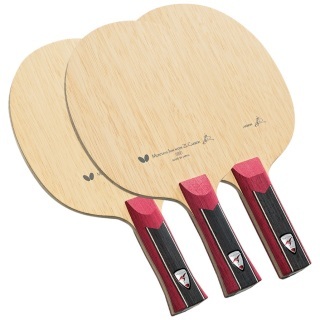 This results in a light weight blade which can produce a maximum amount of topspin with maximum control. The perfect blade for the all-round looping style. Perfect for defense as well as quick counterspins far from the table. 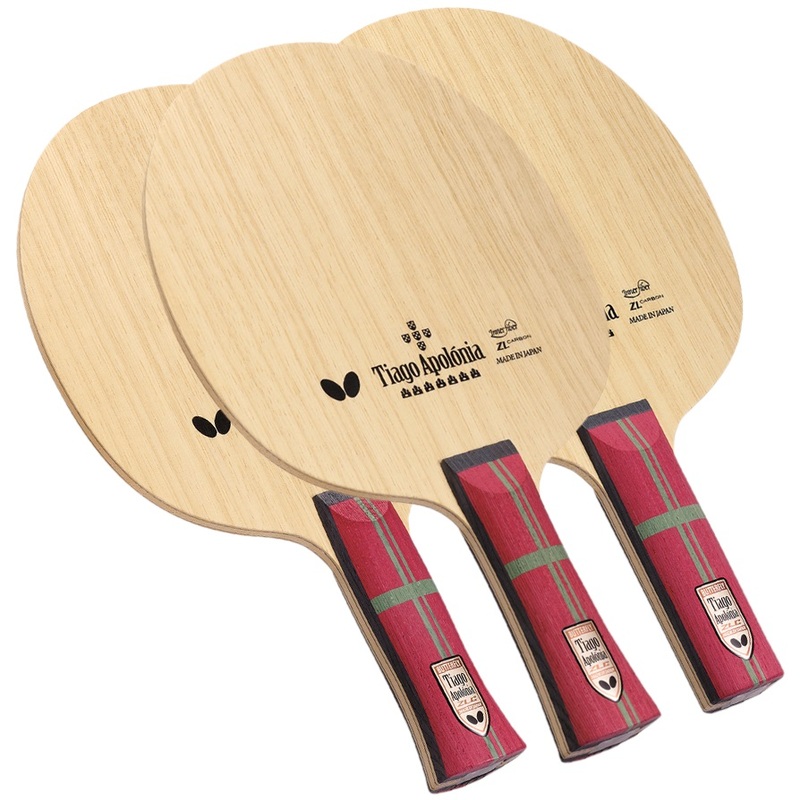 The enlarged head of the blade provides the necessary control for chopping and blocking. 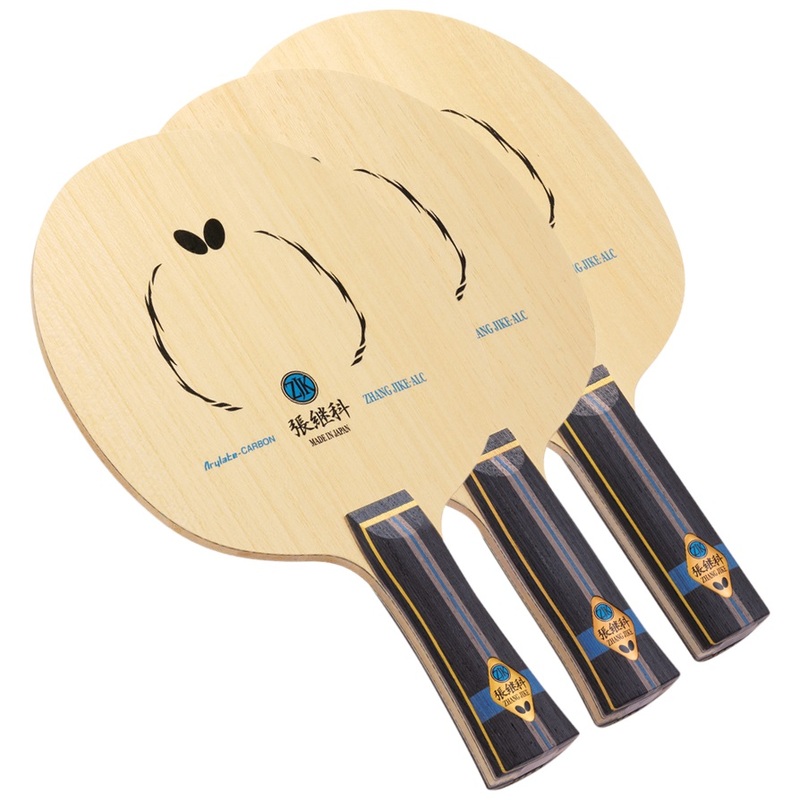 The Joo Saehyuk is first choice for defenders who rely on heavy spin combined with fast topspins due to the hard feel. The Gionis Defensive offers precision and control. Enlarged sweet-spot due to the usage of carbon fibers. 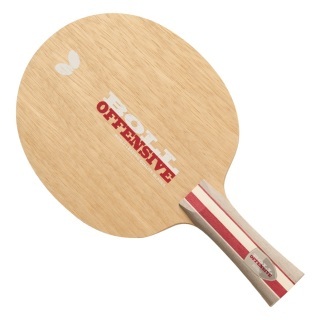 Made for disrupting offensive play. 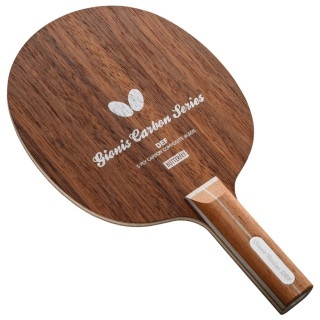 Provides power the old-fashioned way! 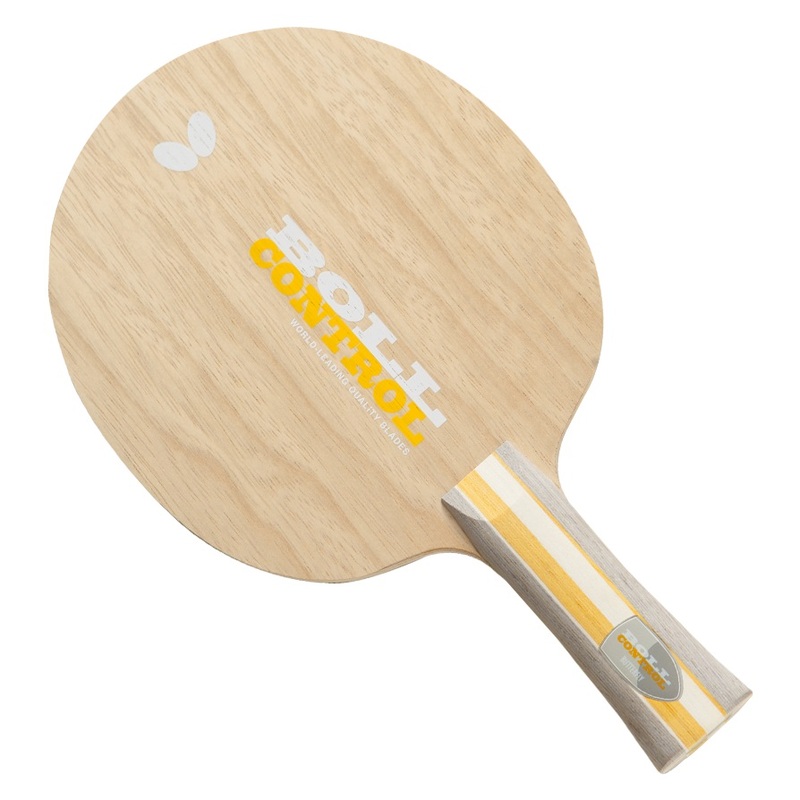 The Boll Control provides stability and security for passive play and assists in well controlled attacking shots. The Timo Boll Control blade provides stability and security for passive play and assists in well controlled attacking shots. 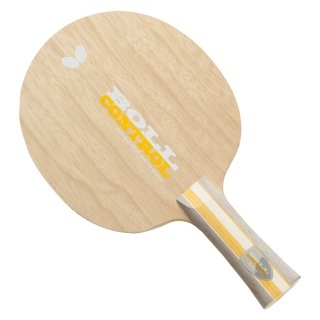 Suitable for players seeking optimum control for precise ball placement. Using new specialized gluing techniques, the medium hard Boll Offensive allows for controlled and precise rebound suited for all attacking play. 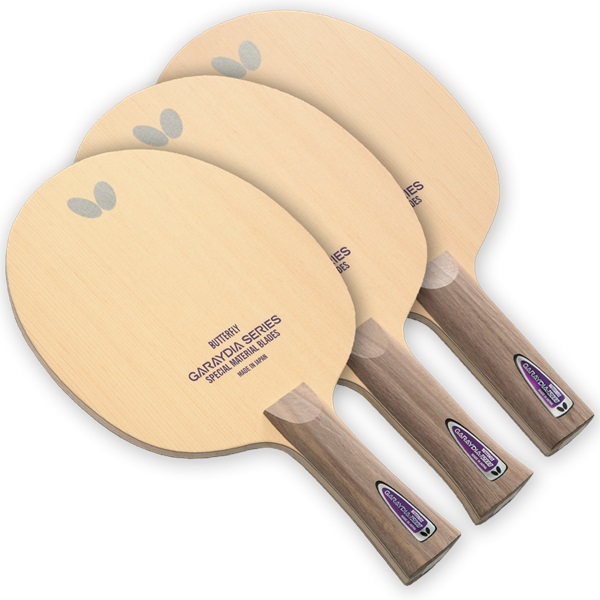 Its 5-ply all wood construction allows great touch for spin oriented aggressive styles. 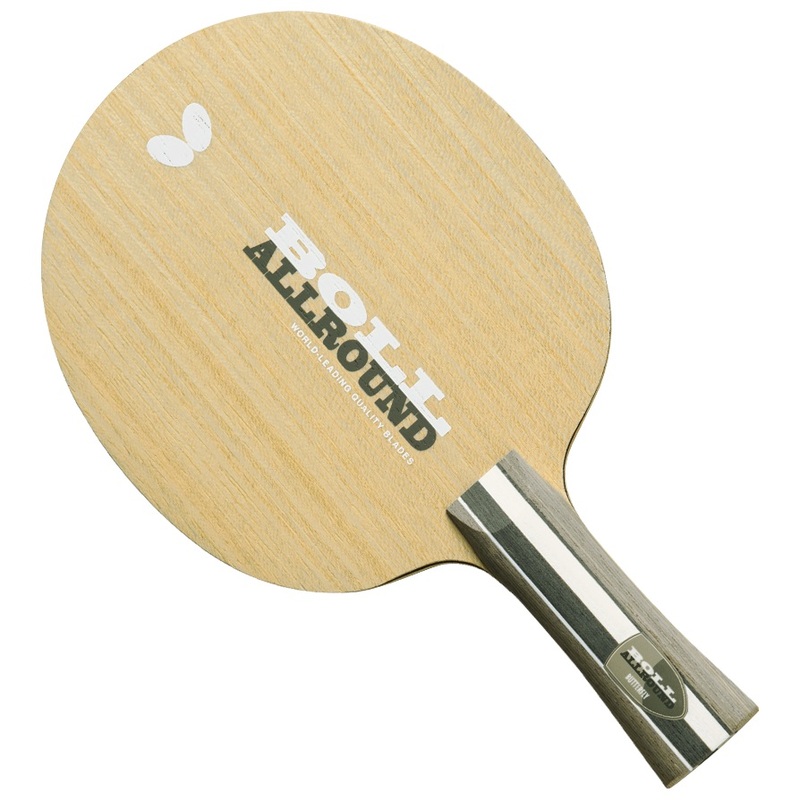 The Boll Allround offers superb control for offensively oriented all-round players. Named after 2 time World Cup Champion, Timo Boll. The XXS version has a smaller head and handle that is ideal for kids. 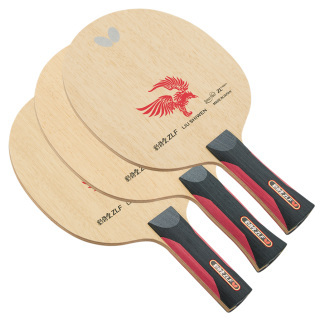 The blade is also lighter making it easier to maneuver. The Gionis Allround is made for any kind of all-round play. Its enlarged sweet spot offers perfect touch. The use of the Carbon fibers give it extra precision for blocking as well as attacking shots. 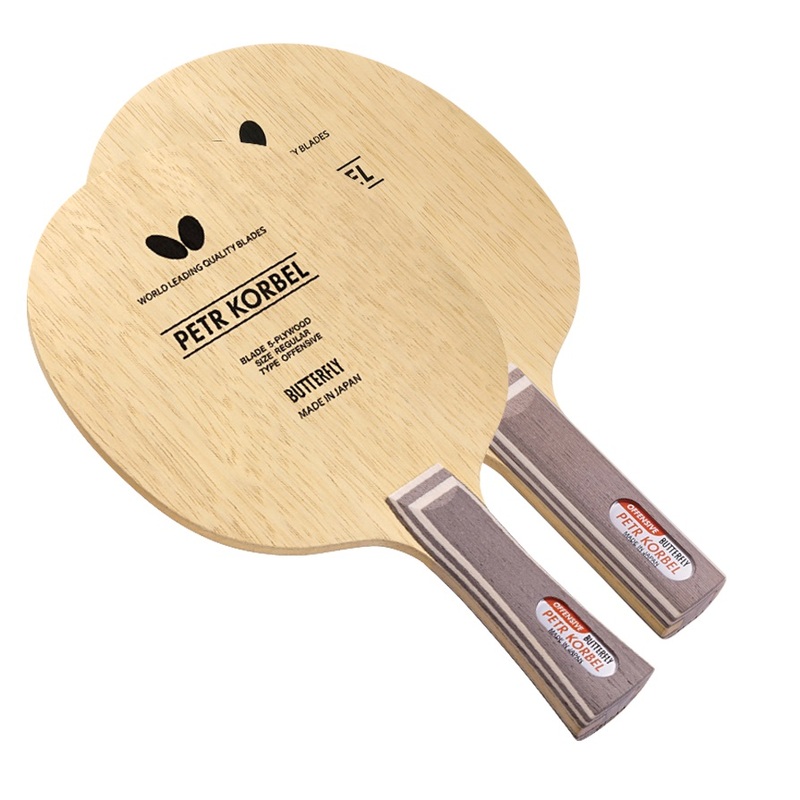 If you want to develop a consistent offensive game, but are unsure which blade to use, you can't go wrong with the Limba outer plied Petr Korbel blade that can do it all. • The blade of choice of Butterfly's Timo Boll. • Alongside Butterfly's technicians, Timo helped design this ALC blade which offers a touch more speed than his previous model, yet allows for the heavy topspin strokes he is known for. • Offers the maximum blend of speed, heavy spin & control. Its classy appearance is only one strong point of the brand new Hadraw SR blade. 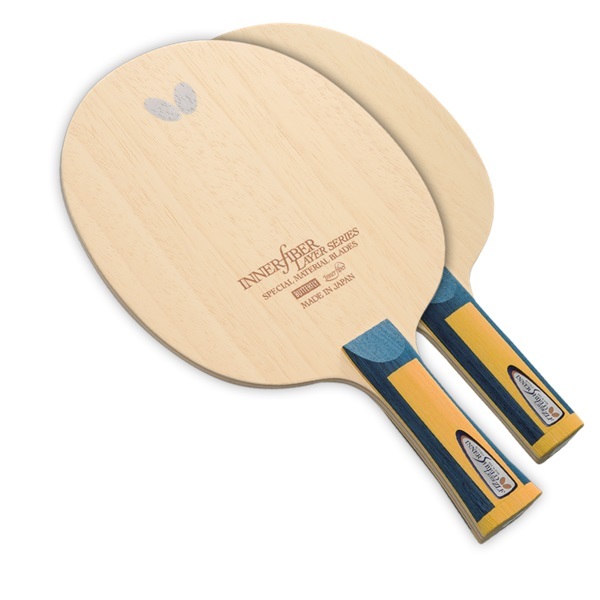 Made from 7 ply wood, this high class blade also delivers high class performance for uncompromised attacks. 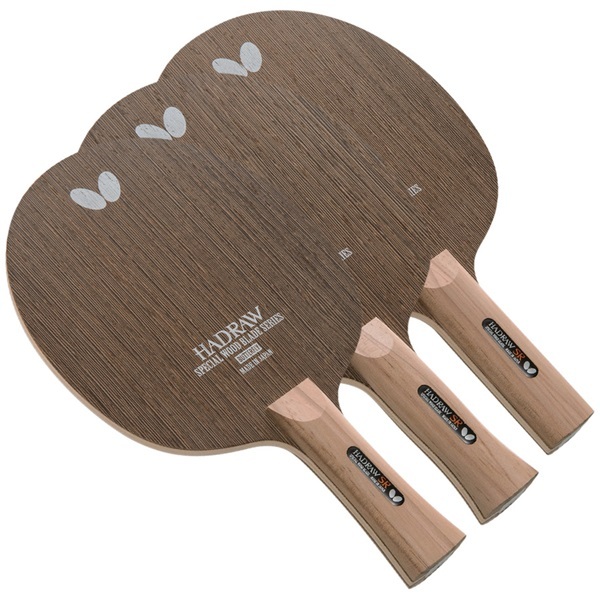 Hadraw SK, an all-wood blade by Butterfly delivers the popular feeling of a natural wood blade – suiting it perfectly for spin-oriented, fast topspin play and attacks.